This week, some big news hit about Tony Martin’s new album, Scream. Tony signed a record deal with MTM Records in Germany to release the album. Here’s a little of what Tony had to say on his website about it..
Eureka! I have become property of MTM Records in Munich Germany!!! Playmates I am happy to announce the signing of me to them! Basically that means I got an album comin out, and sooner than I thought! It all was looking to being a 2006 release but hold that! It now gets released in NOFUCKINVEMBER DUDES!!!!!!! You’ve been askin me for a release, YOU GOT IT!!!!! So I’m expectin all you dudes to go get it! England expects every fan to do his duty! This is good news, as Tony’s second solo album is way way WAY overdue to be released. The artwork is shown here, and if you click on it, you’ll go to my discography page for Scream. I little further research on my part shows the release date of the album being November 4, 2005. At least in Europe. Tony has told me there will be US distribution, but at the moment, I don’t know what label it’s on, or if it’s the same date as the European release. Tony’s son Joe will be handling guitars, and Tony’s singing. 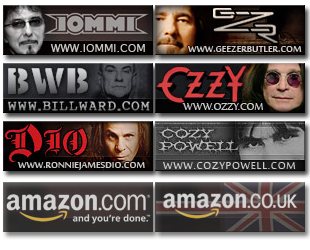 Cozy Powell is on drums on one track, and long standing Black Sabbath member Geoff Nicholls is on keyboards. Who is playing bass as well as drums on the other tracks I’m not aware of yet, but I have an inquiry out on that. The track Unberable isn’t listed anymore. It’s either dropped or had a name change. This was said to have been cowritten with his son Joe. The track Wings of Thunder isn’t listed anymore. It’s either dropped or had a name change. This was supposed to be a second track with Cozy Powell on drums. 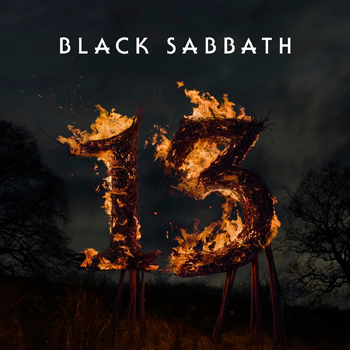 Tony had said that there was going to be an “unnamed live Black Sabbath track” on the album. This is likely not happening, as there’s no Sabbath track on the press release. Tony originally was going to have a limited edition release of 2,000 copies of the album. Whether that’s still happening, I don’t know. I realize things change over time and are dropped – my point here is not to nitpick the release – far from it, I want to push this as hard as I can, I just want to make sure I have complete and accurate information. I’ve asked Tony to clarify these issues. I don’t have pre-order information on this yet, but when I do, I’ll let you know. In the meantime, you can read some more over at the MTM site here, which has a news story on the Martin signing.